DDB/Stockholm knows the score. 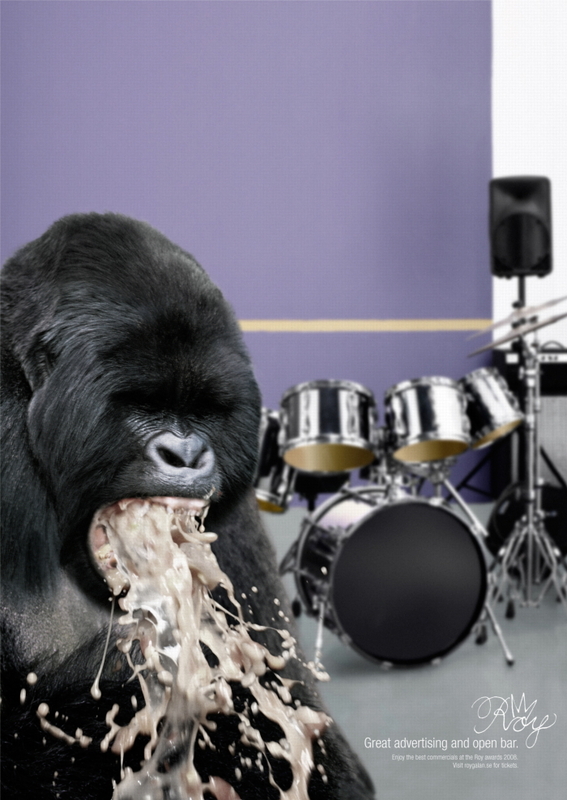 For the Roy awards, which it claims are among Sweden's most prestigious ad shows, it produced this print ad featuring the Cadbury gorilla -- puking its brains out. "Roy: Great advertising and open bar," the ad concludes. Get tickets here. Hope you can read Swedish.